This is an interesting article published by Hellas Frappe today (February 24, 2014. "Al Hamidiyah is a town on the coastal Syrian line about 3km from the Lebanese border. The town was founded in a very short time on direct orders from the Turkish Sultan ‘Abdu’l-Hamid II circa 1897, to serve as refuge for the Muslim Cretans fleeing the ethnic cleansing in Crete in the aftermath of the departure of Turkish troops from the island. Crete fell to the Turks in the sixteenth century, after long and stubborn resistance from the Venetians who had ruled the island until then. 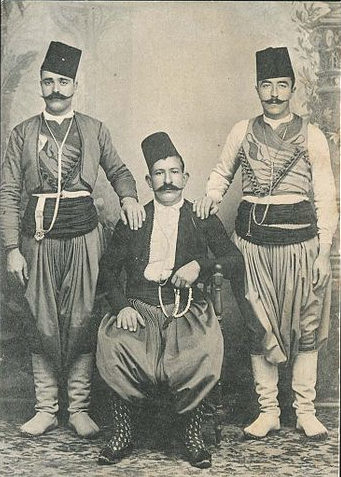 In the following centuries, many Cretans changed their religion, converting to the doctrines of Islam and becoming Alevites, the dominant religious sect among the Turks. In those days, it was not uncommon for people to change religions back and forth, following the tides of constant rebellion against the Ottoman Empire." . . . .